Friedman is absolutely right. There is no way in hell that the Blackhawks’ organization will allow the dumpster fire that was the 2017-18 season to happen again. 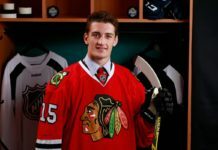 Now I know someone somewhere is saying, “Crawford was injured for most of the season.” While Crawford is very important to the Blackhawks, he only plays one position. 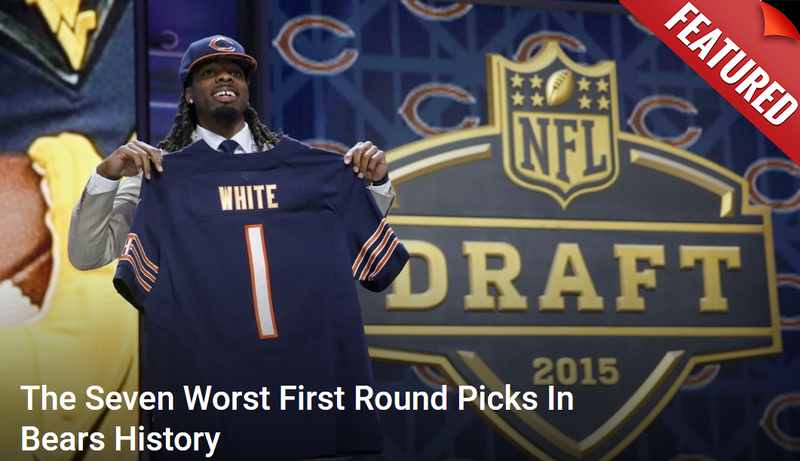 Every single player and coach on the team failed to live up to the expectations that were placed on them. 2017-18 was a total loss on all ends. No ifs, ands, or buts. 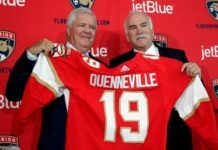 In one of my previous articles, I had mentioned that Stan Bowman is well aware of the hot seat that he has created for himself, and this offseason, he is looking to do something drastic in order to save his behind. Come one, come all. The John Tavares sweepstakes are now underway. The price tag on a player of Tavares’ caliber is well worth it. He is the total package, and his offensive and defensive awareness are off the charts. To put it simply, Tavares makes your players better and your team better. To get a better idea of how good John Tavares is, check out these stellar numbers. If you are not really a numbers person, don’t worry about it. I have you covered. Here is a compilation of John Tavares’ greatest hits for you instead. As you can see, Tavares is the real deal and a proven leader. He is a beast on both ends of the ice and preys on opponents’ mistakes. He has that killer instinct and can score from just about anywhere, and also, creates for his teammates. Another thing Tavares brings to the table is his experience in the brightest lights and on the biggest stages, as he has participated in the NHL playoffs on three different occasions and also played for Team Canada in international play. What is not to like? I will go ahead and answer that for you – nothing. How Does Tavares Fit in Chicago? Free Agency officially begins July 1st and John Tavares is an unrestricted free agent. As soon as Free Agency starts, anything goes. Now, I know that you are probably thinking there is no way that the Blackhawks can afford Tavares. Not true and I will show you how. In my article about the Blackhawks’ 2018 offseason priorities, I discussed affordable free agent targets and I also mentioned that the NHL salary cap is expected to increase anywhere from $78-82 million this year. It is looking like it will be around $80 million. Either way, the increase would benefit the Blackhawks’ cap space situation. The Blackhawks will have between $8-12 million in cap space burning a hole in their pockets this offseason. 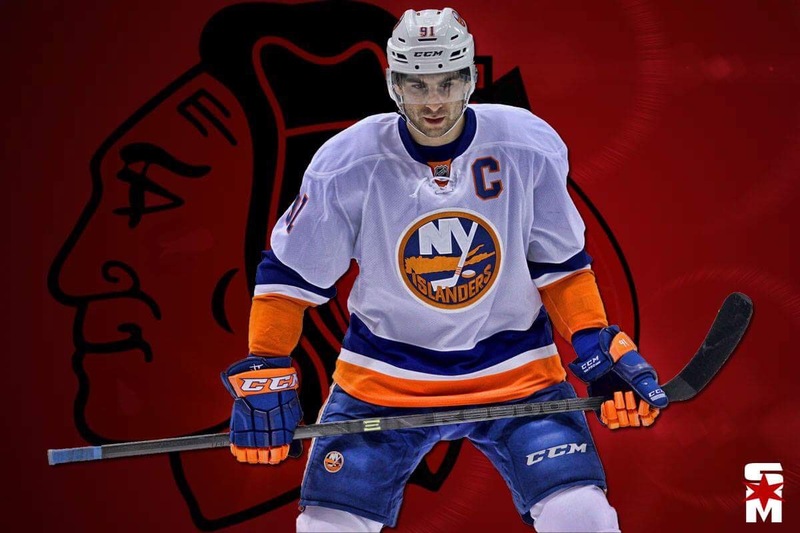 There are a number of situations that would allow for the Blackhawks to bring John Tavares onboard. 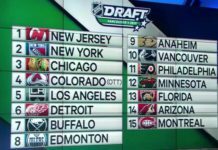 Let me break it down for you and show you what I believe is the most realistic path to Tavares. First, the salary cap increases to $80 million. 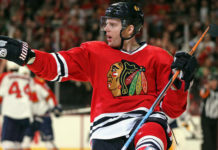 Second, Marian Hossa’s remaining cap hit problem can be alleviated a few different ways. My plan is to find a trade partner who is looking to meet the salary cap floor, such as the Arizona Coyotes or Florida Panthers. I went with the Arizona Coyotes. Third, find a trade partner for Artem Anisimov. In this case, I ended up trading Anisimov to Florida and I held onto $550,000 of his salary. Next, I signed UFA Ian Cole (D) to a 1-year contract worth $2.5 million and I re-signed Anthony Duclair, John Hayden, and Vinnie Hinostroza all to 3-year deals worth $1.5 million per year. 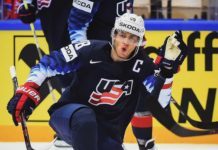 I “drafted” defenseman Quinn Hughes 8th overall, and then, signed him to a 3-year entry level deal worth $800,000 per year. Then, I finally signed UFA John Tavares to a 5-year deal worth $10 million per year. After trading Hossa and Anisimov, and signing Tavares, Cole, Duclair, Hayden, and Hinostroza, I also made a few roster moves. I assigned Victor Ejdsell, Dylan Sikura, David Kampf, and Collin Delia to the Chicago Blackhawks’ active roster and sent Anton Forsberg down to the Rockford IceHogs. After all of my moves, this is what my roster looks like. I made this visual of my proposed team via Cap Friendly. After every move, I ended up with $1,849,455 in cap space for the 2018-19 season. Not bad for a day’s work, right? 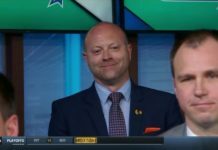 If Stan Bowman really wanted to save his behind and get back into contention quickly, my plan or something similar to it should be highly considered.